Our quality products are manufactured to meet the needs of the industrial urea liquor market. Our products can be used in NOx reduction, plastics, animal feed, cleaning products, and pharmaceutical applications. We can supply 40%, 50% and 70% liquor. Our material meets or exceeds the stringent quality demands of the NOx reduction market that utilize Selective catalytic reduction (SCR) or Selective non catalytic reduction (SNCR). Our quality also allows our Industrial and Chemical customers to meet their demanding quality requirements. With Urea being a non-hazardous material, it fits the needs of certain customers, communities, local regulations that may be concerned with more hazardous materials. 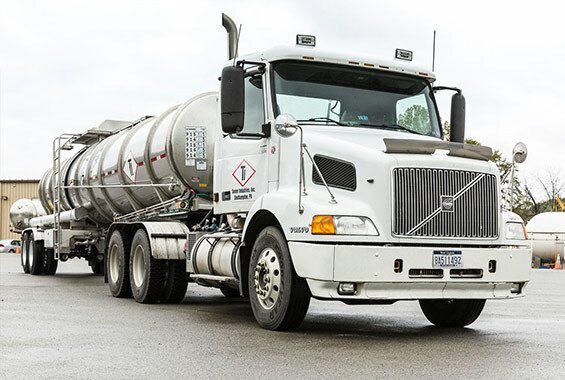 Deliveries of Urea solution are made in approved stainless steel insulated tank trucks and storage typically requires tank heating and insulation to maintain the urea solution above the salt-out temperature. The freezing point of liquid urea depends on the concentration. Tanner Industries owns and operates ammonia and urea distribution facilities throughout much of the United States. We are committed to the highest quality products and service in the industry and dedicated to safety. Intended Use of the Product: Fertilizer; Animal Feed; Nitrogen Solution for SCR NOx Control Systems; Industrial Applications.